A 110-year-old bridge that spanned New York's Harlem River is temporarily calling New Jersey home. Tugboats nudged the old Willis Avenue Bridge into Jersey City Tuesday. It once carried 70,000 vehicles daily between upper Manhattan and the South Bronx. Plans call for melting and recycling the old bridge's steel. Its concrete parts will be made into fill. The bridge was known as "the wall" to those who run the New York City marathon because it was the 20-mile mark on the course and some runners couldn't make it to farther. A prebuilt 350-foot-long bridge connecting upper Manhattan and the South Bronx was installed in August. The company said it would test production of the new bottle next year. That bottle of soda quenching your thirst might not sound so appealing. PepsiCo has developed a bottle made from plant-based, renewable resources like fruit and vegetable scraps that's fully recyclable, and will start using it in a test program next year. The new bottle is made from materials such as switch grass, pine bark and corn husks. In the future, components may include orange and potato peels, oat hulls and other byproducts left over from the company's food business. PepsiCo's chief scientific officer told Reuters the company was working on ways to reuse such waste. PepsiCo announced it had found ways to create a molecular structure identical to petroleum-based PET for a bottle that looks, feels and protects products just like existing PET containers. The company said it would test production of the new bottle next year and then move to full-scale production if successful. Rival Coca-Cola already produces a plant bottle, which is 30% made with sugar cane. It's expanding use of that packaging and efforts to convert the remaining 70% of its bottle to a plant-based material. MEATPACKING DISTRICT — The city wants to build a recycling plant on an open stretch of Hudson River Park that some local residents were hoping to see used as a recreational space. The Department of Sanitation this week issued a request for a designer for a estimated $10.5 million "recyclables transfer facility and environmental center" that would be developed at the Gansevoort Peninsula, located on the Hudson River between Gansevoort and Little West 12th streets. The facility is a link in Mayor Michael Bloomberg's Solid Waste Management Plan, which aims to make each borough responsible for its own trash. Pietrantone also said the facility could harm air quality in the area and contribute to increased traffic. The city released the request March 8. Responses are due June 4. The idea for the recycling station has been around for years. 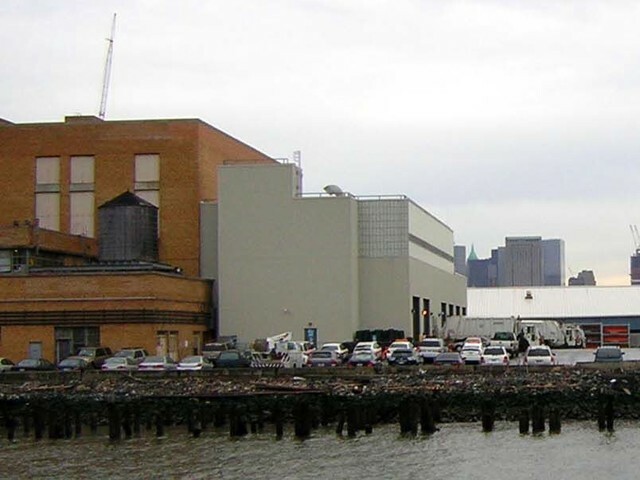 In 2007, Friends of Hudson River Park made an alternative proposal to move the transfer station to Pier 76, opposite the Jacob K. Javits Convention Center at W. 36th Street. The group said, however, that Sanitation found their plan too expensive. The state Assembly and Senate approved plans for a waste transfer station in the summer of 2008, even though local politicians voted and spoke out against it, including Assemblywoman Deborah Glick and state Sen. Tom Duane. Friends of Hudson River Park said the city is moving ahead with the request without any word as to whether an environmental impact study would be conducted, or without a Memorandum of Understanding between state and city officials that would govern how the project would be built and paid for. Kathy Dawkins, a spokesperson for the Department of Sanitation, said the city would seek a Memorandum of Understanding when it came time to solicit construction bids. Right now, though, Sanitation is only seeking architecture and design proposals, Dawkins said. The Water Pod is a floating barge being built at the Brooklyn Navy Yards. The Pod will house five artists who will eat, sleep and work on the barge. It's New York's very own Biodome. A group of local artists has transformed a dilapidated barge into a futuristic, self-sustaining ecotopia, where they'll live for four months without help from the outside world. While living onboard the "Waterpod," the group of four will drink only what they can purify from the river or salvage from rain, use power generated by solar panels and eat only what they can grow or gather before they set sail. The artists will launch Saturday from the Brooklyn Navy Yard and should arrive at South Street Seaport in the afternoon. For the next several months, the barge will stop at major docks in all five boroughs, where the artists will host live performances, workshops and opportunities to engage with the Waterpod's features. "The fact that Waterpod is a mobile structure, that it's floating on water, makes it more independent," said Waterpod's founder, Mary Mattingly. "You're not dependent on a company for power or a store for food, and you can kind of make your own reality." A series of domes and shelters were built on the barge to house its various environments. The first shelter contains four bedrooms, a kitchen and a bathroom; the second will include a space for water recycling and alternative power sources. The third is dedicated to community and artistic workshops, and the fourth houses the gardens that provide food for the crew and nesting space for four chickens. Derek Hunter, the artist doing most of the barge's construction, says there's still a lot of work to do, but he's ready to set sail. "It is art, but it's also a showcase for do-it-yourself sustainability," he said. NEW YORK, NY -- (Marketwire) -- 04/23/09 -- ConEdison Solutions, one of America's leading energy services companies, today announced that Chelsea Piers in Manhattan -- the country's largest sports and entertainment complex -- now ranks as New York City's largest commercial customer using 100 percent wind power. As part of its multi-faceted commitment to sustainability, Chelsea Piers makes an annual purchase of clean and renewable wind energy in an amount equal to the entire electricity usage of its 28-acre, one-million-square-foot property through ConEdison Solutions' "Green Power"
electricity supply offering. In the last year, Chelsea Piers' electricity usage was approximately 22 million kilowatt-hours. The Chelsea Piers purchase alone -- the largest among ConEdison Solutions' 18,000 "Green Power" customers in the greater New York City area -- enhances the environment by offsetting the generation of approximately 13,600 metric tons of electricity-related greenhouse gas emissions (CO2), a quantity equal to taking an estimated 2,850 cars off the road or planting 12,250 acres of trees. ConEdison Solutions obtains the 100 percent wind-power certificates from Community Energy, Inc., a leading marketer and developer of pollution-free, wind-generated electricity. The wind-generated renewable energy credits (RECs) are generated by wind farms around the country. Wind is the world's fastest-growing renewable energy source. Jorge J. Lopez, President and CEO of ConEdison Solutions, Brent Alderfer, President and CEO of Community Energy, Inc., and New York City Council Speaker Christine C. Quinn joined Chelsea Piers co-founder David A.
Tewksbury to make the announcement at a ceremony honoring twenty of the New York City area's "Green Pioneers" at the sports complex on the Hudson River waterfront. "Green Pioneers" are businesses and households who have been among the first in the region to tap renewable power for their energy supplies. Standing by a rotating, twelve-foot-tall windmill, event participants staged a symbolic "apple-lighting" ceremony by throwing a switch that illuminated a glowing, five-foot-wide "Green Apple." "For more than a decade, ConEdison Solutions has provided clean and renewable 'Green Power' to businesses and households across the New York City area," said Jorge J. Lopez, President and CEO of ConEdison Solutions. "By choosing renewable power, energy users like Chelsea Piers protect the environment, promote conservation, and build a more sustainable future. Today we honor the 'Green Pioneers' who are taking steps to make our world cleaner and greener." "Chelsea Piers has made a comprehensive commitment to environmental best practices throughout our complex," said Chelsea Piers Executive Vice President David A. Tewksbury. "Despite economic pressures relating to the recession, we continue to make substantial investments in our green efforts. We are gratified to be recognized by ConEdison Solutions and proud to be a leader among their 'Green Pioneers.'" "We're proud to be a green leader in Hudson River Park, which has played such an important role in reuniting the City with the Hudson River waterfront," said Chelsea Piers President Tom A. Bernstein. "While the centerpiece of our green initiative was purchasing 100 percent green power, we have also made a number of smaller, yet significant, changes. The Chelsea Piers Green Team, composed of employees complex-wide, has led the way in this grassroots effort to make Chelsea Piers an environmental steward." "We were surprised to learn that the incremental cost of purchasing 100 percent green power was actually quite small," said Chelsea Piers Chairman Roland W. Betts. "We also made a considerable investment converting to high-efficiency light fixtures and new control systems but we believe it will pay for itself in a few years." "When businesses like the ones we honor today take it upon themselves to go green, they become leaders in the fight against global warming," said Council Speaker Christine C. Quinn. "New York City has led the world on many issues, and as both public and private sectors embrace 21st-century energy policies, I have no doubt that programs like ConEd Solutions' will become an integral component of municipalities around the country." Chelsea Piers' rank as the city's largest commercial purchaser of 100 percent wind power in New York City is based upon this month's edition of the U.S. Environmental Protection Agency's "100% Green Power Purchaser"
"The EPA Green Power Purchaser list shows the companies that are walking the talk on green energy," said Brent Alderfer, President and CEO of Community Energy. "With the purchase announced today, Chelsea Piers not only joins the list, but tops New York City's commercial purchasers with their 100 percent match of wind energy into the grid." In addition to its wind purchase, the Chelsea Piers "green" initiative includes reduced energy and water consumption, use of healthful and sustainable indoor and outdoor materials, supply chain practices that ensure relationships with eco-friendly partners and vendors, and recycling strategies that minimize the carbon footprint of the sports and entertainment complex. In addition to Chelsea Piers, ConEdison Solutions recognized the following entities as "Green Pioneers" for their use of renewable power: Sherwood Equities, The New 42nd Street, John Masters Organics, the U.S. General Services Administration, O'Melveny & Myers LLP, The City Bakery, MercyCorps, Swing Hair Salon and Ohm Spa in Manhattan; Brooklyn Brewery, Barcade/The Gutter, Brooklyn Industries, Brooklyn Bowl, and Charles and Cathy Alexander in Brooklyn; Anheuser-Busch in the Bronx; Community Housing Innovations of White Plains; Rose Press in Mount Vernon; Wyndham Worldwide of New Jersey; and the Atlanta-based Coca-Cola Company. Charles and Cathy Alexander, who live in Brooklyn's Park Slope neighborhood, received special recognition for being among the very first residential customers in New York City to purchase "green" power. They signed up for the ConEdison Solutions program in 1998, shortly after the program's launch. "Wind Power" used by ConEdison Solutions' commercial users consists entirely of NewWind Energy®. Residential users can also tap into a combination of wind power and hydropower generated by small, environmentally friendly hydro facilities, through ConEdison Solutions' "Green Power" offering. In addition to more than 18,000 "Green Power"
customers in the New York City area, ConEdison Solutions provides renewable energy to 1,500 customers in the vicinity of Cape Cod, Massachusetts. ConEdison Solutions said that the incremental cost of using pollution-free electricity is far outweighed by the benefits to the environment and expanded energy security. For residential customers, "Green Power" costs approximately one cent more per kilowatt-hour than the ConEdison Solutions standard offer. For typical New York City residential customers using 350 kilowatt-hours of electricity per month, the cost is approximately $3.50 more per month than standard rates. "Green Power" users do not need to re-wire or purchase special equipment. Businesses or households can sign up by calling 1-800-316-8011, or on-line atwww.conedisonsolutions.com : www.conedisonsolutions.com . ConEdison Solutions provides a wide range of energy procurement and management services that help commercial, industrial, government and residential customers gain maximum advantage from today's competitive energy marketplace. ConEdison Solutions is a leading energy services company that provides competitive power supply, renewable energy, sustainability services, and cost-effective energy solutions for commercial, industrial, residential, and government customers. The company is based in White Plains, New York, with offices in Burlington, Massachusetts; Cherry Hill, New Jersey; Falls Church, Virginia; Houston, Texas; Tampa, Florida; Durham, North Carolina and Overland Park, Kansas. The firm's dedicated team of energy professionals delivers a broad range of commodity, consulting, demand-side management and performance contracting services. ConEdison Solutions offers programs and services designed to help customers achieve their individual energy objectives and is accredited as an Energy Services Provider by the National Association of Energy Service Companies. ConEdison Solutions is a subsidiary and registered trademark of Consolidated Edison, Inc. (NYSE: ED). More information can be obtained by calling 1-888-210-8899 or visiting the ConEdison Solutions website at www.conedsolutions.com :www.conedsolutions.com . You can also visit the Consolidated Edison, Inc. website atinvestor.conedison.com : investor.conedison.com for information on all of the Consolidated Edison companies. The Chelsea Piers Sports & Entertainment Complex is a 28-acre sports village built on four historic Hudson River piers. Chelsea Piers features two indoor ice rinks, a state-of-the-art golf driving range, a world-class gymnastics center, indoor playing fields and basketball courts, a 40-lane bowling center, one of the world's most comprehensive health clubs, restaurants, sports pro shops, Manhattan's largest film and television production center, the most extensive marina in the city, dozens of nationally-acclaimed teachers and coaches, a 1-mile public esplanade, and a landscaped waterside park. Headquartered in Radnor, Pa., Community Energy, Inc. (CEI) is a marketer and developer of wind energy generation celebrating 10 years of wind power leadership. CEI is a wholly-owned subsidiary of Iberdrola Renewables -- the world leader in wind power. CEI cites its utility partners and customers as the reason for its success in bringing wind energy to market in new regions of the country. CEI has developed new wind projects in the mid-Atlantic and Midwest and supports projects under development throughout the US. For more information, please visitwww.NewWindEnergy.com : www.NewWindEnergy.com . White Plains, NY - Westchester County’s program to “rescue” tons of non-biodegradable plastic that protected Sound Shore boats through the winter and would normally get thrown away come spring is back – and bigger and better than ever. Not only were 21 tons of the thick plastic collected last year instead of tossed as garbage, but hundreds more boats along the Hudson River will also get their discarded wraps recycled this year. With the success of the pilot project, the county Department of Environmental Facility (DEF) has expanded the program from 16 marinas and boat storage facilities along the Long Island Sound to an additional 18 marinas on the Hudson River. The Long Island Sound boat facilities, which have already turned in two tons of the shrink wrap since last week, can bring it to one of three designated collection points on the east side of the county: the city of New Rochelle marina, the city of Rye boat basin or Harbor Island Park in Mamaroneck. Those on the Hudson River will be able to do the same, dropping them into recycling containers located at two new sites starting Monday (April 13): George’s Island Park in Montrose and Croton Point Park in Croton-on-the-Hudson. DEF will pick up the material and deliver it to the Material Recovery Facility in Yonkers. The product can then be sold to recyclers for about $240 a ton to be manufactured into other materials. An average boat can use as much as 14 pounds of wrap (low-density polyethylene or LDPE). The six-week program with the expanded service areas is expected to collect up to 30 tons of plastic that would otherwise go into the waste stream as trash. GENTLY USED From top: Barbara Segal, "Peacock," mixed media; Elizabeth Lundberg Morisette, "Beauty School Dropout," cotton fabric and warp with plastic hair rollers; Vadis Turner, "Chocolate Squares," made of pantyhose. “HANGING by a Thread,” the current exhibition at the Arts Exchange in White Plains, includes a tapestry woven from hair curlers, a comforter made of canvas gloves and a room draped with yarn re-knitted from unraveled sweaters. The show is the first of three consecutive exhibitions organized by ArtsWestchester and sponsored by Swiss Re whose themes integrate a commitment to sustainability and the commemoration of the Hudson River quadricentennial. For example, Mary Ann Lomonaco, of Larchmont, wove standing vessels from the plastic bags in which newspapers are delivered. Vadis Turner, a Brooklyn-based artist, transformed used pantyhose into sculptures of chocolate candies. Elizabeth Lundberg Morisette, of Colorado, made “Shrug” out of layers of zippers sewn together. Inside the vault in the Grand Banking Room is a recreation of Peoria Emporium, a Bronxville-based boutique that sells clothing, furniture and gifts made from recycled goods. All pieces in the exhibition are for sale, including more than 120 items in the Peoria installation. Before “Hanging by a Thread” closes, there will be several supplementary events at the Arts Exchange, including a panel discussion with some of the artists and a children’s workshop. The second exhibition, “Scrap,” also curated by Ms. Dixon, will feature works made from scrap metal and found wood; it opens May 16. The third show, opening in the fall, will focus on the Hudson River. “Hanging by a Thread” is open through May 2. Admission is free. A panel discussion with participating artists will take place Apr. 15, 5 to 6:30 p.m. An artSpeak discussion with Ms. Dixon and representatives from Clearwater will be held Apr. 17, noon to 1 p.m. On Apr. 19, 2 to 4 p.m., “Transforming Trash Workshop” for children will be led by Ms. Lomonaco ($5); register at (914) 428-4220, extension 223. “Hilltop Hanover Farm’s Recycling Old Sweaters for New Uses” workshop will be held Apr. 29, 6 to 7 p.m. ($10); register at (914) 428-4220, extension 223. The Arts Exchange is at 31 Mamaroneck Avenue in White Plains. (914) 428-4220 or artswestchester.org.